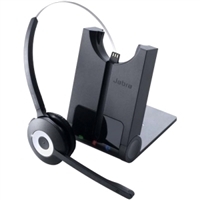 Handset Lifter for Jabra GN Headsets and works with most desk phones however if you have never ordered a lifter before please give us a call to confirm compatibility. A reliable, affordable, and simple professional wireless headset that doesn’t compromise on sound quality. Comes in several duo and mono variants for both desk phones and computers. A reliable, affordable, and simple professional wireless PC headset that doesn’t compromise on sound quality. 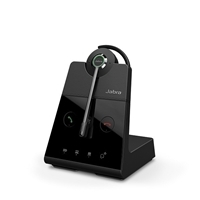 The Jabra GN Pro 9450 can connect to your desk phone and computer for softphone use and has a truly impressive range of 450 Feet great for large office spaces. Wireless UC earbud headset for computers and virtually any Bluetooth audio device. 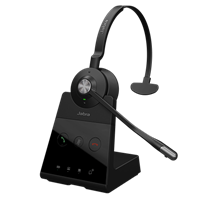 The Jabra GN Pro 9460 features triple connectivity. It can be used with a computer, desk phone and any Bluetooth enabled phone. It has a truly impressive range of 450 Feet, great for large office spaces. The Jabra GN Pro 9470 can connect to your desk phone, computer and mobile phone while also having a truly impressive range of 450 Feet great for large office spaces. 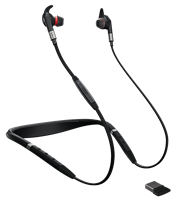 The Jabra Engage series is the latest line of Jabra headsets. 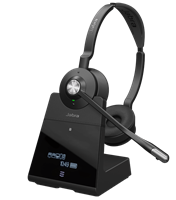 They feature up to 13 hours of talk time and multiple device connectivity, all with secure DECT technology. 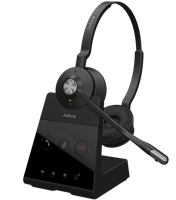 The Jabra Engage 75 series is a line of executive level, feature rich wireless headsets. They can be connected to up to five devices at once.